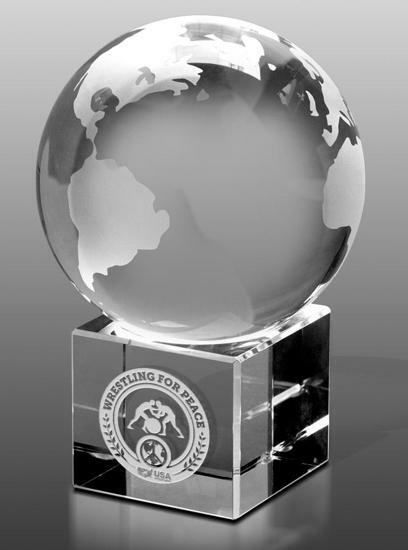 The purpose of the USA Wrestling for Peace (USAW4P) program is to promote wrestling as a positive force in local, national and global communities. The sport of wrestling can cultivate stronger international ties which in turn can enhance the future of wrestling as an Olympic sport. We must act with meaning and purpose in the global public sphere, as well as engaging influential decision-makers who can enhance relations. 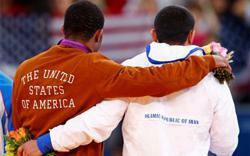 To foster international relations and strengthen cultural understandings through wrestling. 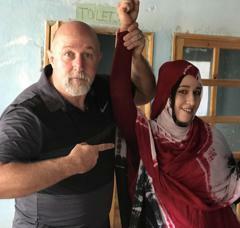 Connecting the world through wrestling. USA Wrestling ambassadors will encounter an ancient wrestling civilization in the Sahara Desert November 3rd – 8th. 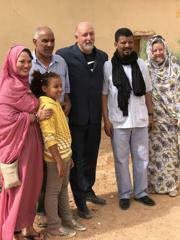 Ambassadors Dan Russell and Kiki Kelley are headed to the Tindouf Province in Algeria, North Africa. Wrestling is a rich part of the Sahrawi Bedouin tribe’s story for thousands of years. These rugged people inherited a beautiful history, deeply rooted in the sport. Unfortunately, as a result of growing up as refugees, they have almost lost this important part of their culture. The purpose of the trip is to deepen the relationship between two very diverse cultures through the shared experience of wrestling. Wrestling in the desert has many challenges. There’s a struggle for life’s daily necessities that is always present and radical groups often look for recruits among the desperate. Wrestling provides context to both of these obstacles. It challenges mind, body and spirit to overcome hardship and produces humility through a deeper understanding of the human struggle. Hello USA Wrestling for Peace fans! 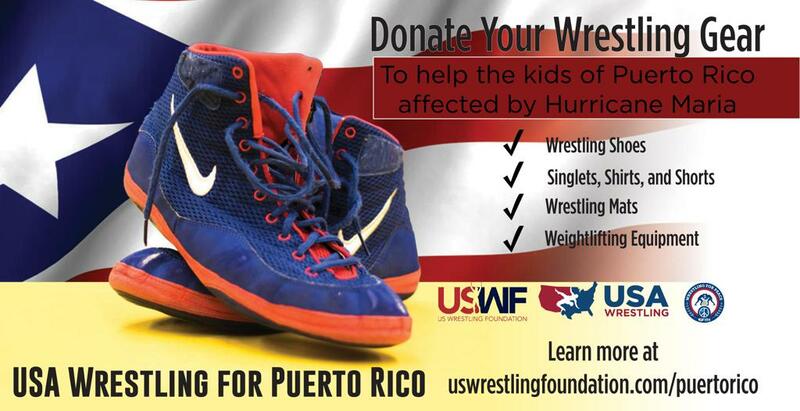 USA Wrestling recently launched an initiative to help our brothers and sisters in Puerto Rico following the devastating Hurricane almost two years ago. 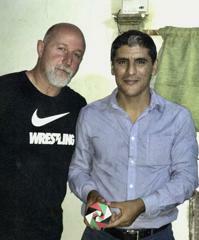 The Puerto Rico Wrestling Federation through United World Wrestling requested support to help rebuild their your wrestling programs. We are here to help to move forward following the tragedy. If you would like to donate, contact Lorraine Rorabaugh at lrorabaugh@usawrestling.org or call 719-598-8181. Goodwill at 2018 World Cup! USA Wrestling for Peace offers token of goodwill at the 2018 World Cup in Iowa city, Iowa. Colorado Springs, CO – Mar. 13, 2018 – USA Wrestling, the national governing body for the sport in the United States announced today the launch of the USA Wrestling for Peace ‘World Impact Tour’. 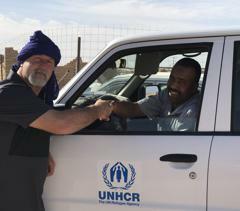 The program offers support and humanitarian aid to struggling communities around the globe. The World Impact Tour will visit 13 countries, including the USA, Algeria, Kenya, Congo, Rwanda, Croatia, Serbia, Kenya, Mexico, Puerto Rico, Dominican Republic, Uganda, and Zambia. Each country has a unique culture and specific needs. 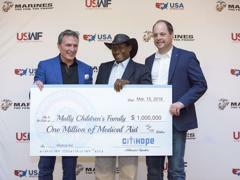 To meet the demand, USA Wrestling is partnered with CitiHope Relief and Development to provide medical and humanitarian aid and the U.S. Wrestling Foundation to maximize support and coordination. 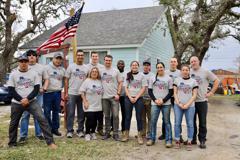 See http://uswrestlingfoundation.org/world-impact-tour.html for more information. Jeff Waters, the Chairman for the U.S. Wrestling Foundation said “This is our DNA. Everyone wrestles. It is the human condition. 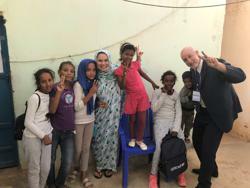 The USA Wrestling for Peace program embraces this universal struggle to help communities in need.” USWF will coordinate trips and partnerships to support activities and aid distribution. USA Wrestling is the National Governing Body for the Sport of Wrestling in the United States as the representative to the United States Olympic Committee and coordinator of amateur wrestling programs. Based in New York, CitiHope Relief and Development has delivered over $1.2 billion in food, medicine, and medical supplies around the world over their 25-year history. USWF coordinates and funds growth opportunities for wrestling at all levels. 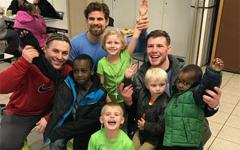 Photo: Two-time Olympian Ben Provisor, World Team member Pat Smith and Armed Forces silver medalist John Stefanowicz visit with kids at City Light. Congo - Help abused women from worn-torn areas to learn self-defense and provide medical aid at the Panzi Hospital. Croatia/Serbia - Support a Paralympic program for adaptive sport athletes and medical aid with wrestlers and MMA fighters. Dominican Republic - Deliver 600K lbs. of food and medical aid through the San Una Nacion. Kenya - Provide Mull Children's Family with medical aid and develop youth through wrestling. Puerto Rico - Rebuild homes by hurricane Maria with wrestlers and coaches. Rwanda - Develop low-income housing project to empower local residents as home owners. Uganda - Participate in mobile medical clinics to aid remote communities. Zambia - Work with CitiHope and Project C.U.R.E. in support of the First Lady of Zambia provide medical aid.